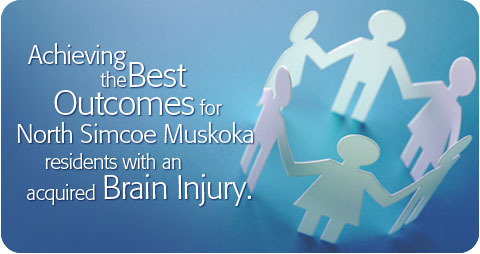 The North Simcoe Muskoka Acquired Brain Injury (ABI) Collaborative is comprised of the 4 agencies funded by the Local Health Integration Networks (LHIN), to deliver community ABI services in North Simcoe Muskoka. To see NSM LHIN communities click here. The purpose of the ABI Collaborative is to work together to ensure that survivors of acquired brain injury and their families get the help they need, when they need it.